The conference will focus on ‘Farming & Genetics – let’s inspire the next generation’ and promises to be an informative, inspiring and celebratory occasion for beef and dairy cattle breeding. It is a huge honour and privilege to lead The British Cattle Breeders Club into this, its 70th anniversary year. Having been involved with the club since 2010, I have always found it to be a friendly and welcoming environment in which to meet new people and learn from some of the best in the industry, many of whom have now become good friends. Coming from a non-farming background, I am acutely aware of the challenges young people face in getting into the industry due to financial constraints and the perception of farm work and farming. I hope the speakers this year will challenge that perception and encourage both young and old to work together to drive the industry forward. This programme has been put together to showcase the leading edge technologies our industry is developing to compete on a world stage, including genomics, gene editing and new breeding traits, several of which will be launched this year as the UK strives for the highest health and welfare standards in the beef and dairy industry. As in previous years, farmers will be key to the programme, outlining how they are utilising this new found information to tailor their breeding decisions to fit farming system and contract requirements. As always, we are indebted to all of our sponsors for their continued support of the club, I would also like to thank the club committee and especially Heidi, our club secretary for all the help and support given in putting this year’s programme together. I look forward to welcoming you to Telford in January for our 70th anniversary celebrations. 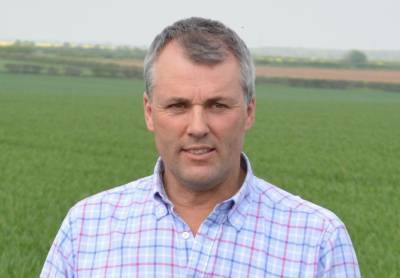 Andrew Ward farms 650ha of arable land near Leadenham, Lincolnshire and has close links with the industry, chairing the AHDB Recommended List oilseeds committee, as well as being a governor of Bishop Burton Agricultural College. He holds numerous other influential positions in agriculture and his farm has been selected as an Agrii ifarm trial site. 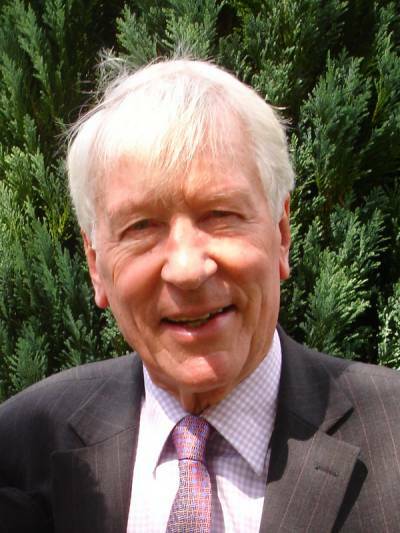 Andrew’s presentation will tell the story of how he became the founder of Forage Aid, a charity which supplies farmers with feed and bedding for their livestock, in times of crisis. The wide variety of contacts which Andrew has made along the way meant that he was in an ideal position to spring into action, after witnessing the terrible conditions that livestock producers were facing, during the bad weather of 2013. Andrew says: “I saw that sheep were dying in some areas and thought I could do something about it. I had my own straw, as well some hay and haylage that I had made for horses and other farmers also rallied to help out, with some also contributing concentrate feed. Within a very short time, we had pledges for many tonnes of donated forage and had persuaded hauliers to help us with transport; the response was tremendous. 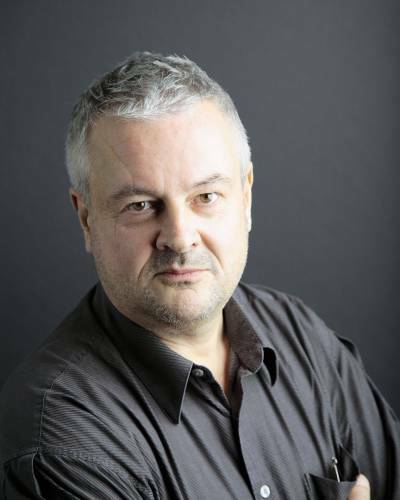 Professor John Dupré is based at the Centre for the Study of Life Sciences at the University of Exeter. His wideranging topic will dispel the myth that gene editing will allow scientists to produce any type of animal they wish. The ethical response to gene editing may come down to whether the technology is classified as genetic engineering or not and there seems little doubt that if it is, the application of the technique will be hampered by the “baggage” that has been linked to the GM debate, he adds. The theme of the 2018 British Cattle Breeders Conference is all about inspiring the next generation and Matthew Jackson is a shining example of just what can be achieved with hard work and a positive attitude. He grew up in Manchester, but his family had spent many holidays camping on the Lleyn peninsula in Wales, which is where he made his first connection with farming. 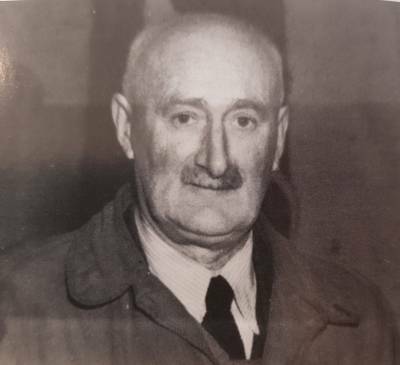 Having left school at 15, Matthew returned to Wales and worked on a number of holdings, which included a dairy farm belonging to David Wynne-Finch. 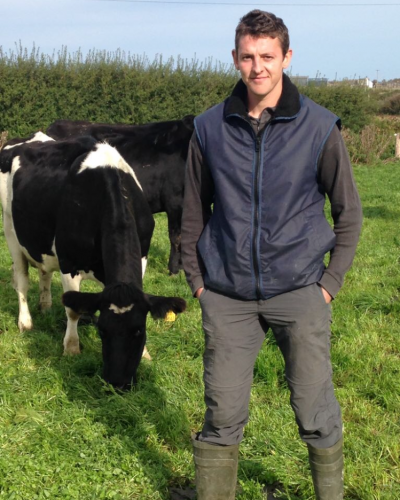 Moving on from this humble start, Matthew gained more farming experience and eventually acquired a couple of dozen dairy heifers, with numbers rapidly increasing to 220-head. Fast forward to the present day and Matthew, now 29 years old, operates a 400-cow dairy herd on a site which is owned by Mr Wynne-Finch and with whom he has a 50:50 share-farming agreement. The most important factor in realising his ambitions was the assistance he received from the farming community, he says. David is a first generation farmer, who chose his career partly because he enjoys working with livestock and working outside, but mainly because he wants to encourage positive change in farming practices which will benefit future generations. The Horned Beef Company, which is run with his wife, Rebecca, is based at Lindale in Cumbria. “There is a great opportunity for young farmers to win the support of the public, who will see them as modern custodians of the countryside who are achieving domestic food security, building soil quality and adapting to climate change,” he says. “To meet these goals, we will have to re-learn a forgotten way of farming; one that naturally rears native breeds of cattle, to produce world class beef. I describe this as ‘farming with nature.” David will tell the story of how his business developed and outline his aspirations for the future of farming in the UK. 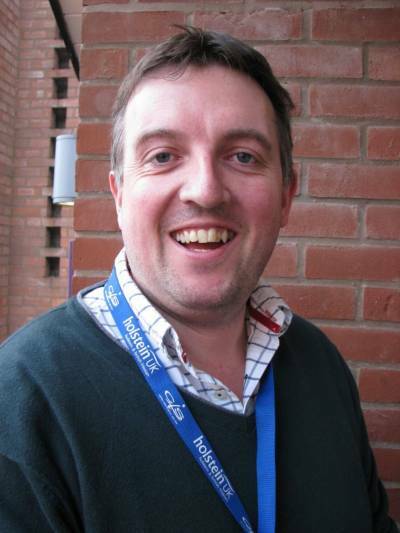 Professor Kenny is the principal research scientist in ruminant nutritional physiology at the Animal and Grassland Research and Innovation Centre in County Meath, Ireland. He will give details of the performance of Irish suckler herds, which are suffering from what he describes as “significant reproductive inefficiency.” His presentation will focus on the key elements of the fertility and health management of spring-calving suckler herds. One example he will cite will refer to figures which show that on average, only eight are born to every ten cows in a typical 12-month cycle. Meanwhile, the interval between two successive calvings has averaged approximately 400 days, in recent years. “This indicates that a high proportion of Irish cows fail to achieve the target of producing a calf every 365 days,” he says. “While the onset of puberty in a heifer has a major influence on the start of her productive life in the herd, the single most important factor affecting the reproductive efficiency of a suckler cow herd in the wider sense is the date at which females start cycling after calving. “A dairy cow will typically start cycling one month after calving, but a suckler cow can take anything from 40 to 100 days to resume her heat cycle. The bond between the cow and the calf will prevent the onset of heat cycles, so any strategy to advance the opportunity to breed the cow again after calving must consider this issue. The short-term restriction of suckling activity once the calf is four weeks old has the potential to improve cow fertility, with a knock-on effect on whole-herd profitability,” says Professor Kenny. 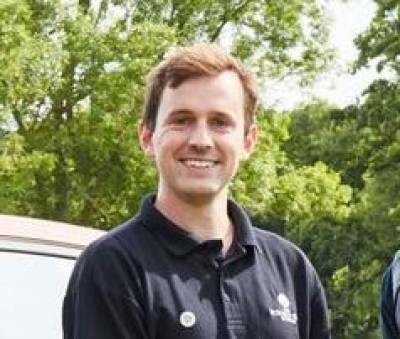 Beef and arable producer, Dan Burling, says he is surprised that more farmers do not use EBVs when they are selecting beef breeding animals for their suckler herds. He returned to the family farm after a period working as an agricultural college lecturer and set about reviewing the 70-cow herd breeding policy and its management system. 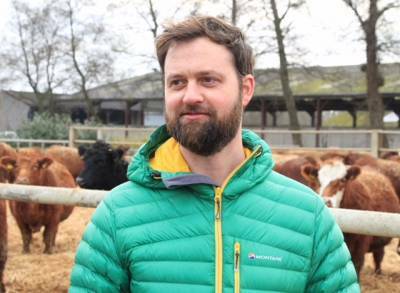 He quickly realised that there were potential opportunities to improve profitability and switched from Continental crosses to the Stabiliser composite breed; he now has 220 females at Chain Farm in Over, Cambridgeshire. The farm has been a Stabiliser multiplier unit for a number of years and Dan is now selling breeding bulls. 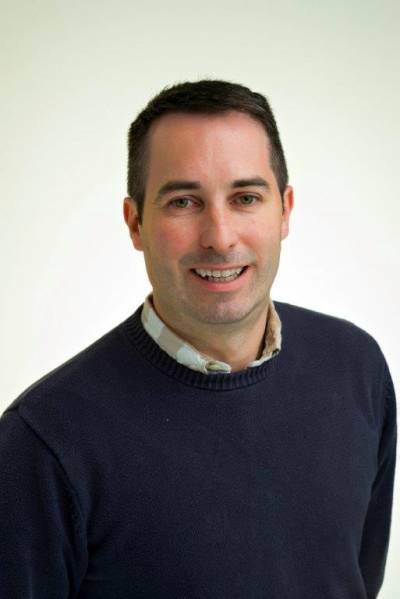 “The use of EBVs and indexes is directly contributing to our herd profitability,” says Dan. “Choosing replacement cattle by eye is not accurate enough to make breeding progress and it is especially difficult to judge youngstock at an early age. The best-looking animals are not always the best performers. Dan, who says he has little interest in cattle showing, is only interested in sires which will perform well in a commercial environment. He ensures that all of his young bulls are assessed in a situation where they are given the same treatment, to maximise the accuracy of the data that is collected. He believes that the UK needs to develop an eating quality standard for beef and with this at the forefront of his mind, his cattle are scanned for marbling quality. ● Decrease in barren rates from 7% to between 3-5%. ● Calving assistance cases have fallen dramatically to about 2%, with no vet interventions. ● Dry cow feed cost has been reduced by 30% over the last five years. ● Feed conversion rates have improved to approximately 4.9:1 for finishing bulls. 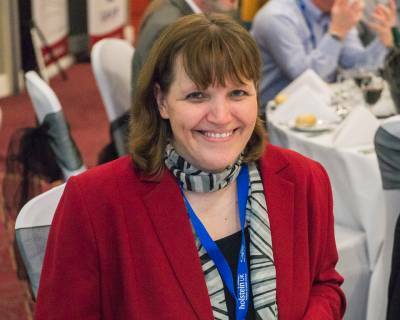 As the technical manager of the British Limousin Cattle Society, Alison Glasgow has been involved with the organisation’s 10-year plan for breed improvement, which includes a range of research and development initiatives. These include the production of genomic breeding values for carcase traits, feed intake and traits for female fertility, as well as for calf survival. All of the above represent a series of ‘firsts’ for the UK beef industry and the potential value they can add to the supply chain is real and demonstrable, according to Alison. 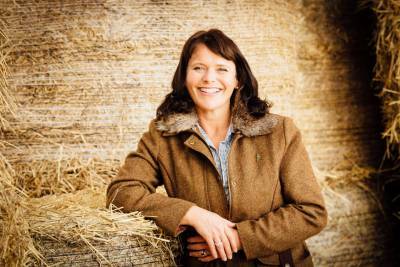 In her slot in the programme, she will give details of the progress that has been made to date, some of the findings along the way and the beef industry’s opportunity to add significant value by exploiting genetic resources at a heightened level. Organisers of the British Cattle Breeders Club’s annual conference pride themselves on putting together a programme which gives delegates the opportunity to catch up on all the latest technology and the presentation by Dr Oded Nir of Afimilk in Israel will not disappoint. His colleague, Chris Howarth, offers a preview of one element of the presentation, which will focus on a two-year study which tested the company’s real-time milk analysis system, AfiLab. Daily in-line milk analysis with the company’s AfiLab Milk Analyzer may be more useful in predicting a cow’s future lactation than monthly DHIA tests, according to the recently published study of almost 38,000 Israeli Holstein cows over a two-year period. Unprecedented in scope, the study, which was entitled ‘Genetic and phenotypic analysis of daily Israeli Holstein milk, fat, and protein production as determined by a real-time milk analyser,’ validated the hypothesis that the more frequent analysis of milk components provides a more representative measure of a cow’s total lactation, compared with monthly DHIA tests. “The technology collected real-time data on yield, lactose, butterfat and protein, as well as blood detection from every cow at every milking to compare phenotypes across the herd,” says Mr Howarth. A common mistake, Heather will explain, is for farming families to take no action at all, when it comes to succession planning. This can occur for a number of reasons. “Sometimes, the older and the younger generation will say nothing, as they may feel they will elicit a negative reaction. Older people may worry that their children will not be interested in taking over, while the young ones feel they may be perceived as being greedy. Sometimes, families find that the two generations do not work well together, adds Heather. Roger Hildreth - Are you breeding the best heifers for your farm? North Yorkshire-based Roger Hildreth is a fourth generation dairy farmer who won the Promar Milk Manager of the Year title in 2015 and is also a past winner of the Asda/Arla Dairy Farmer of the Year, an award which came with a tour of dairy farms in America. The trip prompted a number of changes at Curlew Fields near York, which Roger runs with his son, Tom, and the family now has a highly positive attitude towards the management of its herd of just over 100 pedigree ‘Hessay’ Holsteins. One of the most significant changes was applied to the calf rearing system and the feeding regime has since been based on the number of kilogrammes of milk powder which the calves consume, rather than the figure for the liquid litres that are offered. This has resulted in a slightly increased usage of high quality skimmed milk power, which went up from an average of 0.6kgs/head to just over 0.87kgs/head. Roger will explain how this, as well as other tweaks to the business, have benefited the farm business as a whole. The committee are looking forward to celebrating 70 years of the British Cattle Breeders Conference in January and to the next 70 years ahead of us! Here we have taken a step back in time with a brief insight into BCBC over the years, by looking back through past Digests and the Personal Review of the British Cattle Breeders Club 1948 – 2005 publication by John E Moffitt CBE on his retirement as President in 2005. The club was founded by Sir John Hammond and George Odlum in 1947. The first meeting took place in January 1948, the ‘Cambridge Week’ on Bull Breeding. In the beginning the meetings were called courses and were a mixture of papers and practical visits. These courses were recorded in the Digests which included detailed discussions too. The conference has grown from these early beginnings, to become an important part of the livestock calendar. The organisation is a unique mixture of farmers, scientists and industry personnel, all dedicated to the advancement of cattle breeding in both the dairy and beef sectors, with the main objective as reported 70 years ago in the first Digest as ‘Promoting Knowledge of Breeding Better Cattle’. reproduction; methods used in dairy and beef cattle breeding; Subjects which will have been re-visited and developed during the history of BCBC. Certainly the years have seen changes in the nature of the British Cattle Breeders’ Club and its annual conference but a common thread throughout has been the unique blend of representation and cross-fertilisation across the sector, featuring breeders (beef, dual-purpose and dairy), scientists, breed society administrators, AI companies, industry organisations, key journalists, overseas visitors, students, et al. For many years, and for my early visits, the Conference was held at the University Arms Hotel in Cambridge. It was quite a leisurely event, spanning several days, and for some it was perhaps a bit of a busman’s holiday. In those days the privately owned hotel had great character; the delegates and the Club as organiser received wonderful service and catering. There was plenty of time between sessions for interchange and included the practice of the Club’s Chairman inviting speakers and others to pre-lunch cocktails! However, this pleasant environment was often quite a battle ground with fierce and heated arguments in and between sessions on such topics as the introduction of North American Holstein genetics or European beef breeds into the UK gene pool, the use of AI in pedigree breeding, the abolition of bull licencing, etc. It’s amazing that the whole of our cattle breeding sector hasn’t fallen apart now that a Ministry official no longer goes along to visually inspect a bull at about 10 months of age and say whether or not it was approved to be used or had to be castrated or slaughtered! And the irony is look where we are today with a strong and progressive sector; AI and ET are widely used through the industry, both at the commercial level but also in the breeding sector. Let it be so with other innovations. But things changed – the hotel was sold and the service declined, its geographical position and road access wasn’t too good, parking was limited and the focus of the cattle sector was on the grass growing western side of the country. It was decided (with the writer being one of the instigators) to move the Conference base to a venue that didn’t have these drawbacks. Since then hotels in Staffordshire and Shropshire have positioned themselves as ideal locations and the Conference hasn’t looked back. Also, recent revivals of meetings or activities between Conferences have fitted the Club’s objectives.